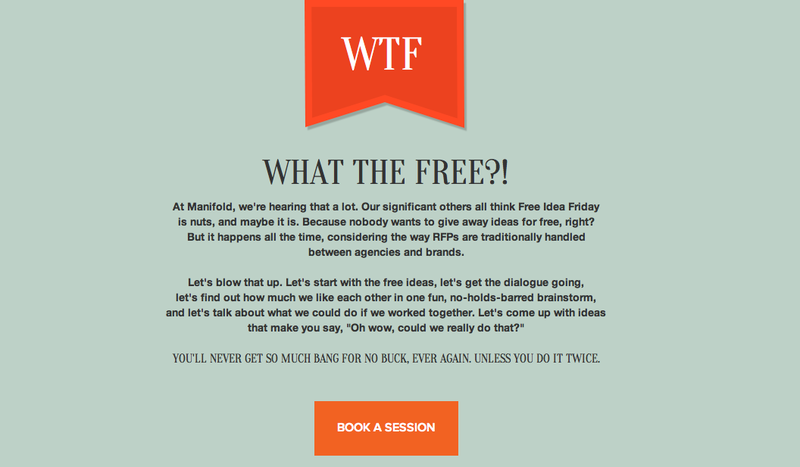 brandflakesforbreakfast: free ideas from a creative agency - score! 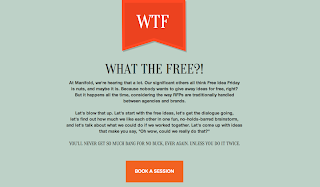 free ideas from a creative agency - score! This is the kind of idea that doesn't come around too often. All the holiday cheer (and maybe a little too much spiked eggnog) has this company willing to give out work...for FREE! Manifold's Free Idea Fridays is their way of giving back with creative ideas to anyone in need. We all know handouts are few and far between, but this agency is not letting that get in their way. No guarantee how many great usable ideas you’ll hear – but you’ll likely have a fun and creative brainstorm. 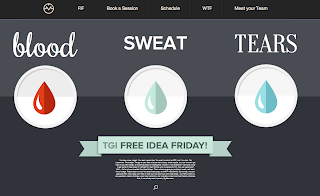 Sign-up for your 30-minute brainstorming session via Twitter. Let the good (and FREE) ideas roll from there!